​St. 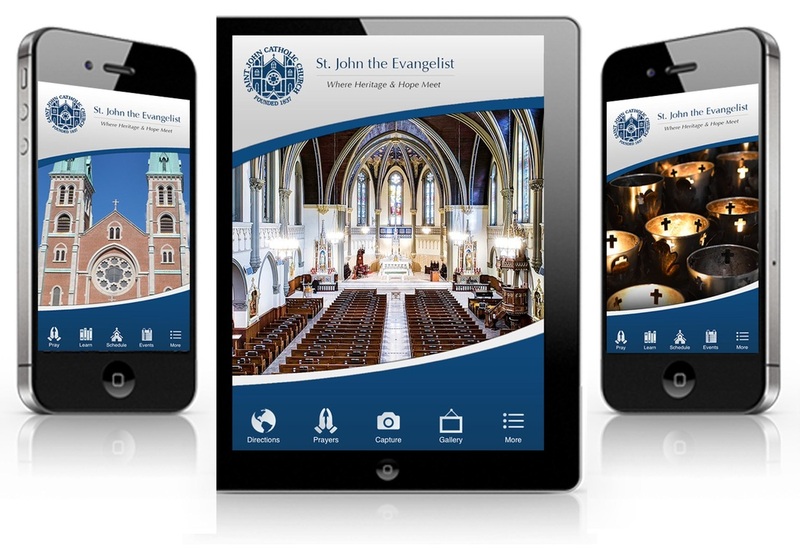 John’s is excited to announce the release of a mobile app. This app is available for a free download in the Android and Apple Stores. It is a new and effective way for the parish to communicate with you and for you to stay connected with the parish. The app is packed with prayer resources including Liturgy of the Hours, Daily Mass Readings, as well as Father Nagel’s weekly Lenten Challenges, ways you can get involved and much more! Search for the app in your download store on your phone (Apple's App Store or Android - Google Play Store). Search for: St. John the Evangelist Catholic Church- Indianapolis, IN. The App will have our logo and will look like the photo to the left. Need help downloading the app? Contact Megan Fish, Director of Communications.